Hair extensions are no longer a beauty secret of movie starlets and singers in the entertainment industry. With so many women & men wanting longer, thicker hair, but not being able to naturally attain the desired results, or want thicker longer hair now, or for that special occasion or a splash of new color, hair extensions have become such so popular choice. 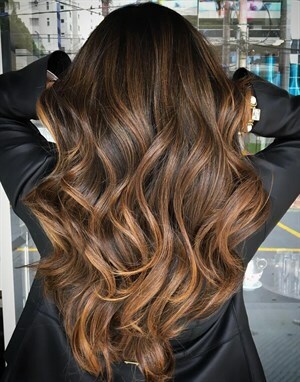 If you are searching for amazing hair extensions in NYC you owe it to yourself to go to the best in the business, Edwin Candelaria master hair extension, wig and braid at Mark De Alwis Salon. Edwin is an expert in the application, maintenance & removal of a multitude of hair extension types and will ensure you get the type of extensions for your hair type and your hair desires. You will book your FREE hair extension consultation. During the consultation your hair extension expert learn and fully understand you the results you desire. Will discuss extension methods options and provide the exact cost to meet your desired results. Will explain what will be required caring for your extensions including shampooing, conditioning, brushing & styling. Will schedule your appointment for your extensions which would require payment for the of the cost of the hair. Book a FREE hair extension consultation with hair our extension, weave & wig specialists, they will color match and examine your hair and assist you in choosing which hair extension type and method is best for you. Call now for your FREE consultation and receive 15% OFF your first set of hair extensions and see how we can transform your hair using any of our variety hair extension methods.